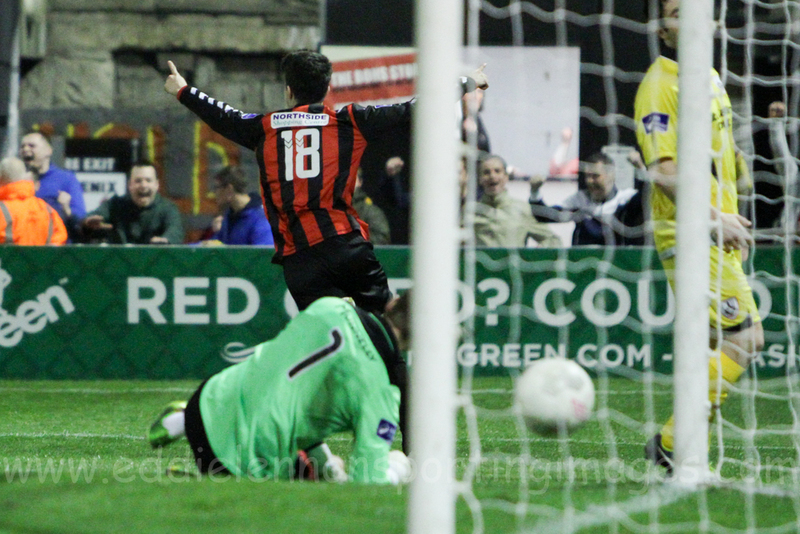 Bohs continued their excellent start to the season with a comprehensive win over Longford Town at Dalymount Park. Both teams were well acquainted with one another after Tuesday’s EA Sports Cup encounter, which saw Bohs triumph 3-1. The game had a high tempo start which saw three stoppages for injuries in the first 15 minutes. Willie Tyrell and Dean Delany both recovered from their knocks but ex-Bohs player Stephen Rice was forced off with concussion. The first real chance of the game resulted in the opening goal. A corner from Lorcan Fitzgerald was fizzed into the back post and Dean Kelly was lurking to power home a header past Paul Hunt in the Longford net. Soon after Kelly was again found at the back post but his shot went wide, although the offside flag had been raised. The other notable action of the first half was when Gary Shaw was booked for simulation in the 40th minute. At half-time the Bohs under-19 squad, who recently were crowed Northern Elite League champions, were paraded on the pitch and presented with their medals from a successful season by club president Matt Devaney. The second half was dominated by Bohs. Kelly was played through on the left wing and it appeared as though he was in an excellent position to shoot for goal however he opted to dink a cross to the back post where ‘keeper Hunt palmed the ball away. Longford then had their first meaningful chance of the game. Kaleem Simon slipped Davy O’Sullivan through on goal, albeit at a tight angle, and his shot was brilliantly saved by Dean Delany as it appeared to be heading for the top corner. Adam Evans replaced Karl Moore and the youngster had an immediate impact. Kelly sprinted towards goal on the right flank and played a perfectly weighted ball to the back post where Evans applied a calm and collective finish to place the ball into the corner with his first touch of the game. Even with a two-goal lead, Bohs continued to attack relentlessly. Kelly blocked a clearance from Hunt and the ball went agonisingly close to rolling into the empty goal. Soon after Evans played a neat pass to Fitzgerald in the box and his cross was cleared by the Longford defence. The final chance of the game was for James O’Brien who picked the ball up forty yards from goal and unleashed a half volley which almost found its way into the bottom corner. Victory saw the Gypsies jump two places up to second in the table behind champions Dundalk. Next up for Bohs is a Dublin Derby when Bohs host St Patricks Athletic at Dalymount Park next Friday evening.